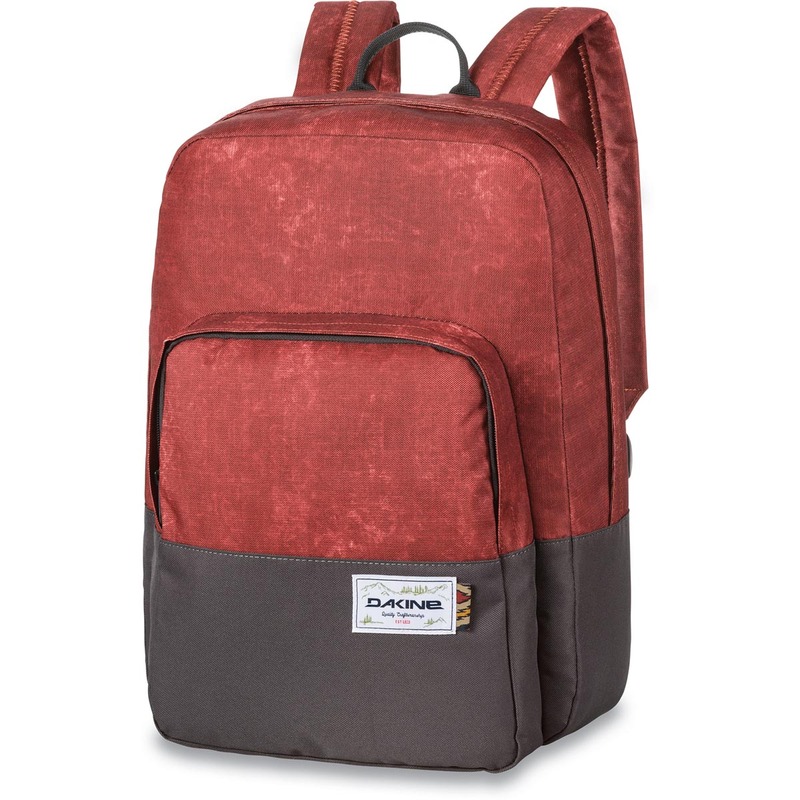 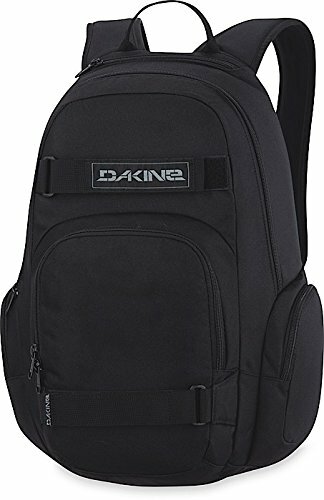 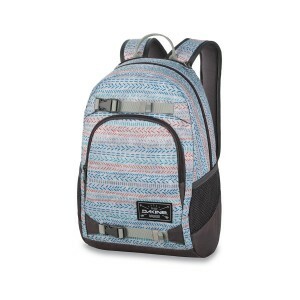 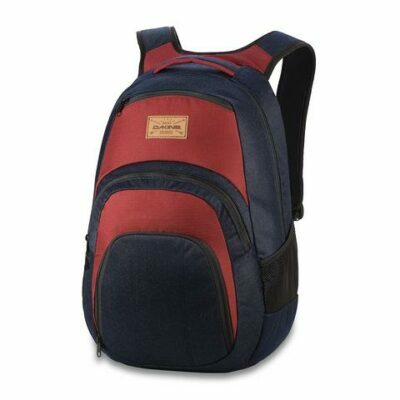 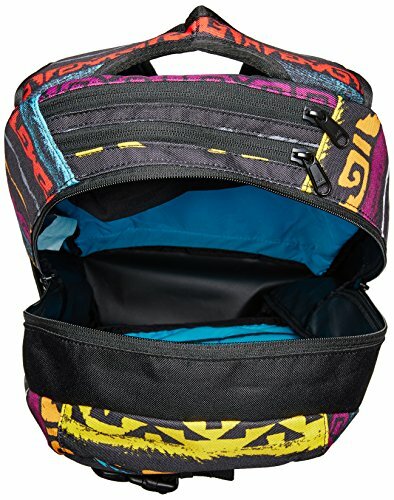 The Explorer Backpack by DaKine features a dual strap system to carry a skateboard, padded laptop sleeve that fits most 15″ laptops, and large main compartment. 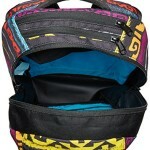 A fleece-lined sunglass pocket, front organizer pocket, and side mesh pockets complete the pack. 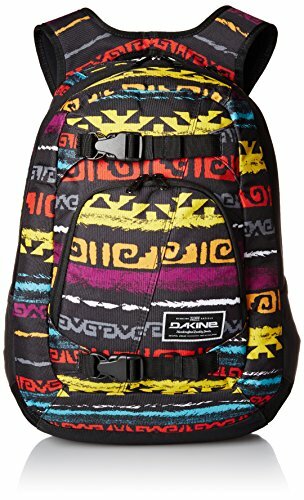 The measurements are: 20 x 12 x 10 inches or 1600 cubic inches (26L).